On 8th February the children's movie Maya The Bee was released on DVD and Digital Download. Based on the hit TV show of the same name, which was first shown in the 1970's and still airs on Tiny Pop, the Maya The Bee movie is actually suited to a wider and slightly older audience too. 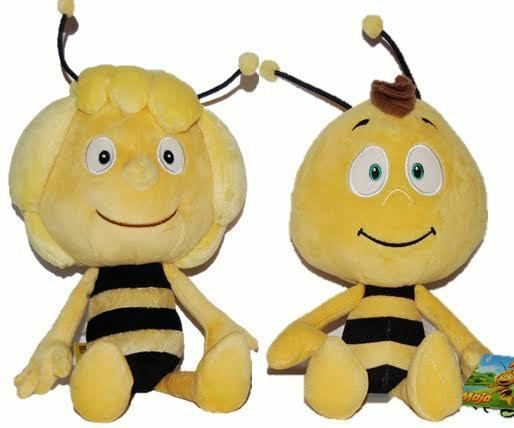 Maya the Bee is the story of a young bee who has reached the age where she wants to get out into the big world and explore. When she does though, she and her friend Willy find that the fight between Bees and Hornets is actually not what everyone should really be worrying about, the much-loved Queen and the hive are secretly under threat from the Queen's own advisor. We were sent a copy of Maya The Bee to review, along with a box of goodies to hold a mini Maya The Bee party to celebrate the release of the movie. They were very popular with all of my family - although my 7 year old can't get the hang of his 'Bee Boppers'! The animation is good, the colours are very bright and the characters larger than life and defined against the background. The characters are strong and it's nice to see that male and female characters have equal presence and importance - good and bad. The cast list for Maya The Bee is really impressive, and that quality shows. Directed by Alexs Stadermann it features the voice talents of Coco Jack Gillies (Mad Max: Fury Road), Kodi Smit-McPhee (The Road, Dawn of the Planet of the Apes), Jacki Weaver, (Silver Lining Playbooks, Animal Kingdom), Miriam Margolyes (Harry Potter and the Deathly Hallows Part 2) and Richard Roxburgh (Moulin Rouge, Van Helsing, Mission Impossible 2). Maya The Bee is good harmless fun that I enjoyed watching with a couple of the teenagers and the young lads. The story works on several levels depending on your understanding (adults and older children are not bored) and the peril is very mild and gentle, so it's perfect family viewing with a young family. It made us laugh, it made us smile, and it was great for an afternoon snuggled on the sofa. 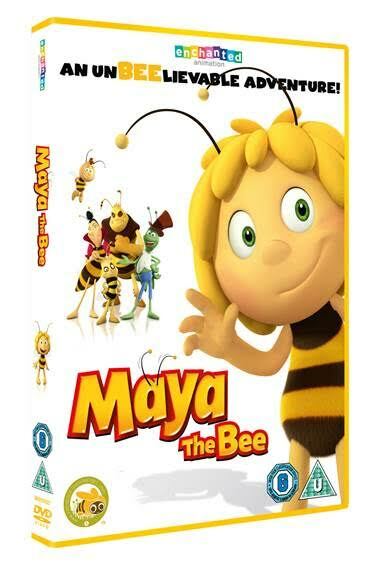 Maya The Bee is available now on DVD and Digital Download. It has a running time of approximately 88 minutes and is rated U - suitable for all. 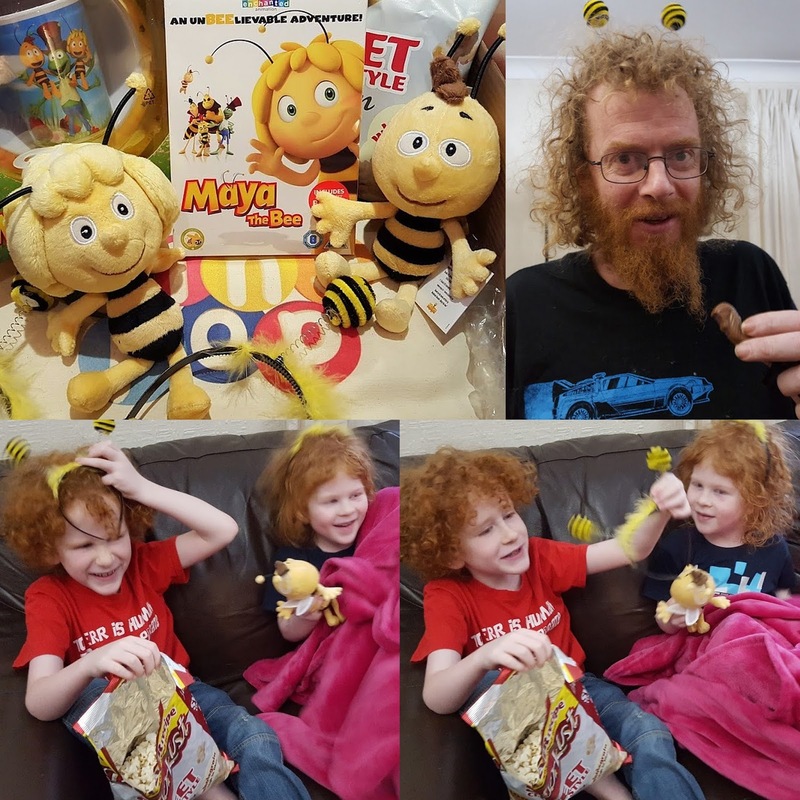 The people behind Maya The Bee have an awesome prize for one of my readers. One winner can get their hands on a copy of the DVD plus a pair of the gorgeous Maya and Willy soft toys shown above. To enter the giveaway use the Gleam form below. Open to UK entries only, and the giveaway will end at midnight on Sunday 6th March. A bit obscure but the Chaldea.